Vernon: Can you drive the tractor for me a little while? 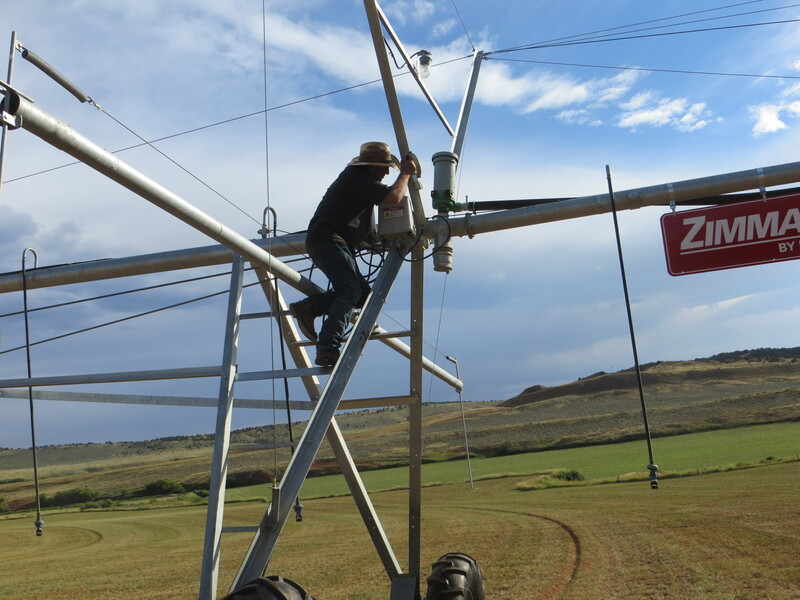 I need to flush the pivot and I don’t like using a ladder on the end. 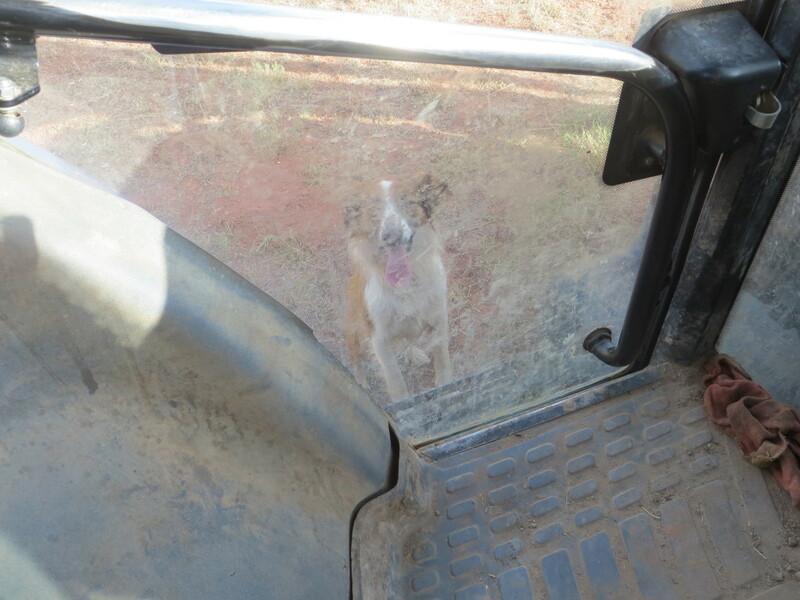 He climbed on the loader on the tractor and I raised him up to pivot level. 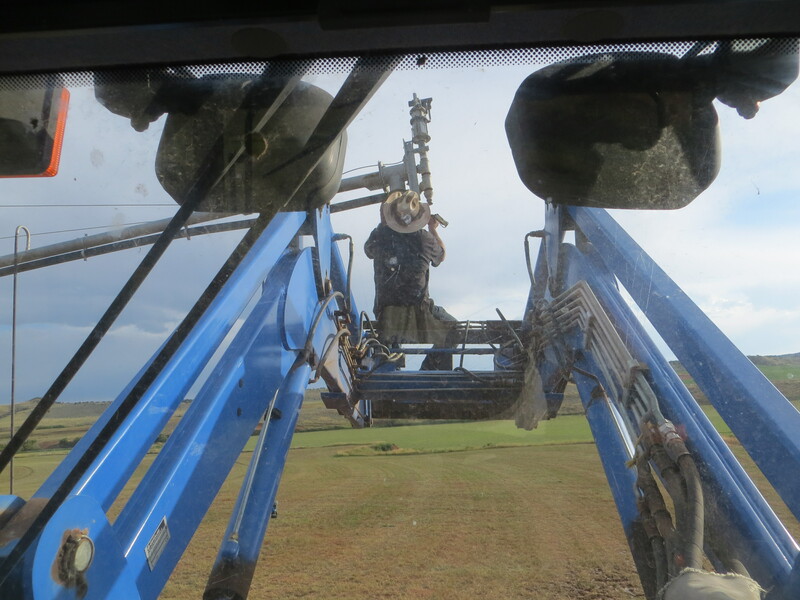 He popped off the clamp that holds on the “silt collector” and I lowered him down to safety. The water was then turned on to flush the pipe and any silt sitting in the bottom of it. Although, this pic didn’t turn out… It would have been pretty cool if it had! 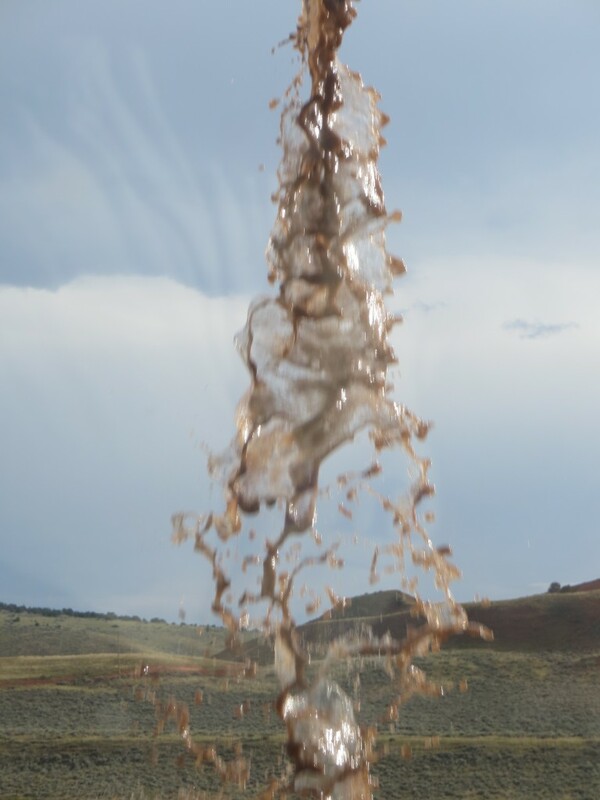 Here’s the dirty water being flushed through the pivot. I’ve said it before and here it is again…YOU ARE SOMETHING ELSE, CAROL! No wonder my best friend, Jerri was so proud of you! We just got back from Salt Lake where I had a five hour heart ablation surgery Thursday. It went well and I’m feeling pretty o.k. today. We left at 5:00a.m. So we could get our dog out of the kennel before they closed for the weekend. LOL! And Eden is being very observant while she hopes that Vernon doesn’t fall. Too funny! Thanks for making my day! Such a bummer the dirty water picture didn’t focus right! That would have been a Great shot! It’s pretty cool even blurry. LOL! We’ve had tractor windows so muddy you couldn’t see light through them! (That’s after feeding in the mud in the spring.) Those loaders come in so handy – for everything from pipe cleanout to picking apples…. Wait, that’s not why we have them?